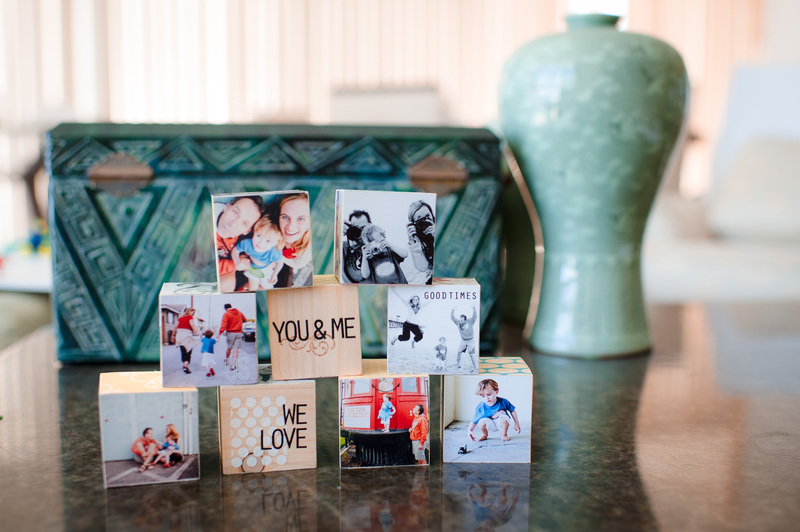 Photo cubes are all the rage these days and they add of touch of personality to your decor. 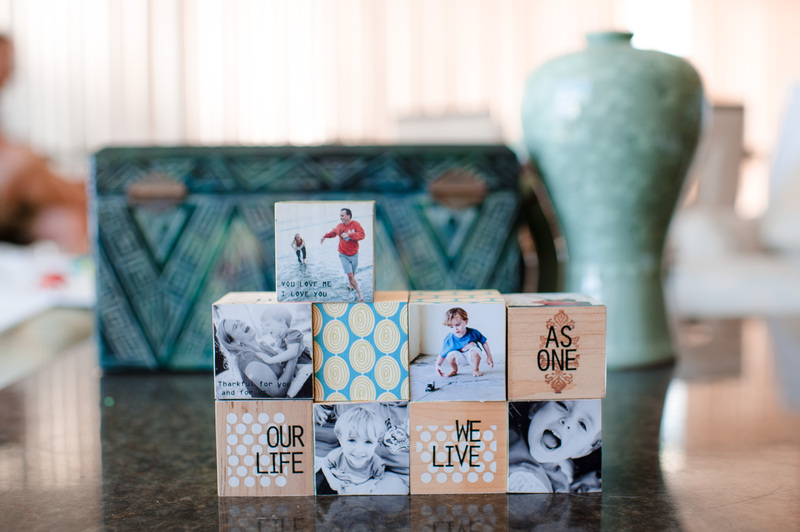 You can pick up blocks here and you can also find them at one of the craft stores, Michael’s, Jo-Anns, etc. 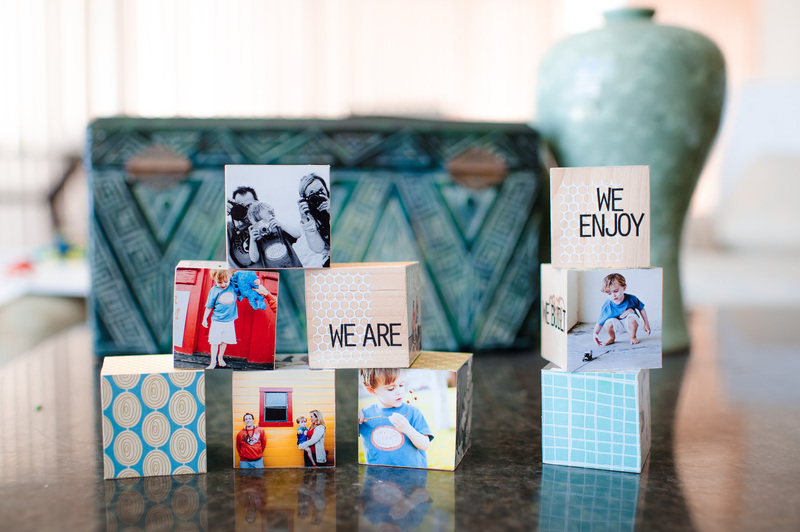 After finding some of my favorite photos, I printed them out in 2 inch squares, cut them out, put Modge Podge on the back of the photo and the face of the cube to adhere them, added some patterned paper on a couple of sides and a few rub-ons (you could also handwrite some details or love notes or add even more photos). 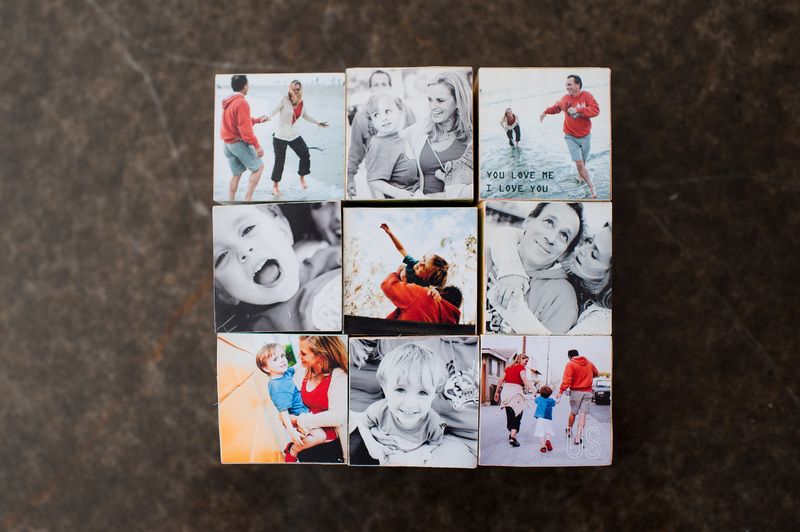 It really is a quick, easy project to display those photos and stories. FUN!!! I CAN TOTALLY DO THIS!! !